Jeb Bush’s June 15 rally: Former Florida governor ready to stop pretending he won't run for president. 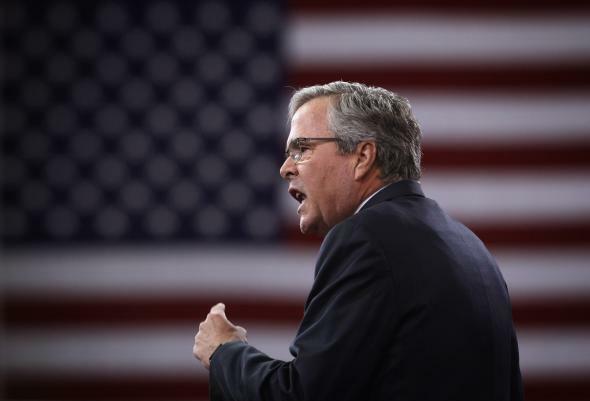 Jeb Bush announced Thursday that he’ll make his 2016 plans official on June 15 at a event at Miami-Dade College. Bush’s team has refused to say what exactly those plans are, but it’s painfully obvious to everyone else that the former Florida governor will officially declare his presidential candidacy at the rally. As I argued Monday, Bush’s actions over the past six months have made it clear he is already a presidential candidate by any definition besides his own (and even sometimes including his own). He has held meet-and-greets and town halls in early-nominating states, appeared at a slew of candidate forums, sat down with powerful interest groups, been a regular on cable news, hired campaign staff around the country, and raised a truly massive amount of cash for a presidential run. By avoiding an official declaration, however, Bush has been able to personally ask his family’s vast network of deep-pocketed donors for six- and seven-figure checks for his aligned super PAC, something that he will no longer be able to do once he makes his campaign official later this month. Still, even then, don’t expect him to be done making a mockery of U.S. election law. As Richard Hasen has already explained, Bush plans to outsource many of the core functions of his campaign to the technically independent super PAC that he’s spent the past several months fundraising for.